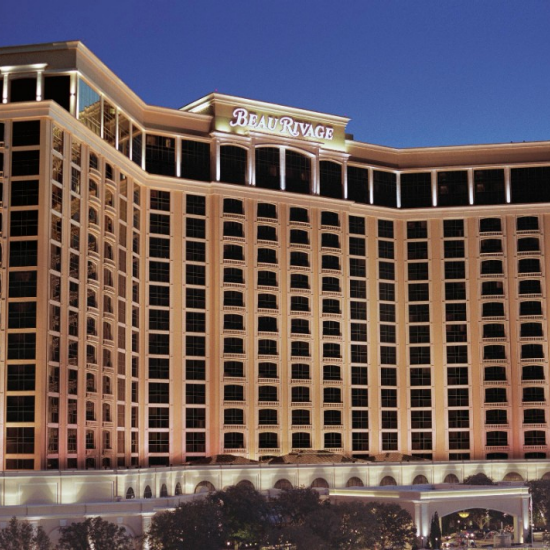 Southern hospitality defines Beau Rivage. With 1,740 elegantly appointed guest rooms, including 95 luxurious suites offering panoramic views, this Southern beauty offers you a world you'll love. We have distinctive dining, superstar entertainment and endless excitement. Stay on I-110 Loop to the Ocean Springs exit ramp. Ocean Springs Exit will put you on Highway 90 East. Beau Rivage is the first hotel-casino on the right on Highway 90. Approximate travel time from the Airport is 15 - 20 minutes. When leaving the Airport property, turn left on Airport Boulevard. Proceed to traffic signal and turn left (Highway 49). Stay on Highway 49 until it intersects with Highway 90. Travel East on Highway 90 into Biloxi, passing the Biloxi Lighthouse. Approximately 1/4 mile past the Lighthouse, Beau Rivage is located on the right. Ready to feel spoiled rotten? Elegantly oversized rooms overlooking historic downtown Biloxi with views of the beautiful Beau Rivage gardens.